Interior designers make the most of the places where we live, work, and play, using colour, acoustics, lighting, patterns, and textures. Interior design is needed in every imaginable interior setting, from home interiors to corporate offices and shopping centres to restaurants, hotels, hospitals, spas, clinics, and salons; and demand is growing. There are job opportunities for interior designers within design practices or as private designers or by focussing on a specific aspect of interior design such as furniture design. There are also many opportunities in other design areas such as architectural firms, and display and exhibition companies. You may only want to redecorate your kitchen and with some guidance and education, you’re likely to end up with new ideas that will save time and money. If you’re thinking of a career in interior design then an education is essential. A wide variety of choices are available from introductory classes, which span a couple of days, to intensive undergraduate and postgraduate degrees. Most introductory courses will offer technical skill in design drawing and basic principles in interior design such as different materials and space planning. Specifically this can involve learning about working with colours, sound, paints and wallpaper, fittings and fixtures for both kitchens and bathrooms, different types and effects of lighting, furniture, and soft furnishings including textiles and carpets. Much of the focus on introductory courses, like the ten-week courses offered at Community Schools such as the Malahide Community School and Old Bawn Community School, is to help develop your own unique interior style in a fun and relaxed atmosphere, and at the same time learn some trick of the trade and keep to a budget. Griffin College offers a level 3 interior design course which would be suitable for those looking for an entry level course, this is offered by distance learning so may suit those with other work or family committments. Malahide Community School offer an evening course in interior design which covers all the major principles and offers a good grounding for those wishing to progress further. The next step of education in interior design is a university degree. In addition to the types of learning mentioned above, students are expected to learn the theory of art, history of interior design, and project management. Managerial aspects of interior design include learning certain rules and regulations that interior designer need to be aware of, such as those about fire laws, handicap access, and building regulations. Many Institute of Technology across the country offer three-year bachelor degrees in Interior Design and Interior Architecture including Sligo and Cork. Drawing on a variety of fields including architecture, furniture design, graphics, performing arts, and art the course involves the design of interiors of buildings, their layout, fitting, furnishing, decoration, and the preparation of all technical drawings and written documentation necessary for the carrying out of the work. The graduate will be able to develop designs and their attendant working drawings, and will deal with contractors, suppliers, and local authorities. The Dublin Institute of Design also offers a Bachelor of Arts in Interior Design .The course has strong links with business and manufacturing industries and allows students to specialise in either interior or furniture design in their third year. The programme is based on three areas of study ‚ examining fundamental and developmental study of design, visualising skills and subjects include among others computer-aided design, drawing, design realisation, and the history and theory of design. With increasing emphasis on style and looking good, it should be no surprise that this trend towards looking good extends to interiors. If we feel good where we are, whether it be where we work, where we live, buy groceries, or eat dinner, we’re more likely to be relaxed and enjoy ourselves. 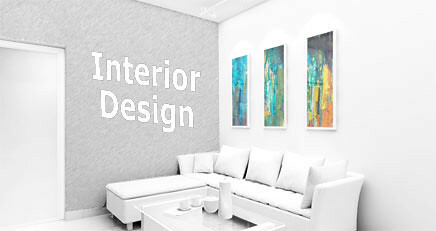 Interior design is an influential and important industry and best of all, it’s in demand. This entry was posted in Media, Art and Design and tagged griffin college, interior design, malahide community school by courses-ireland. Bookmark the permalink.